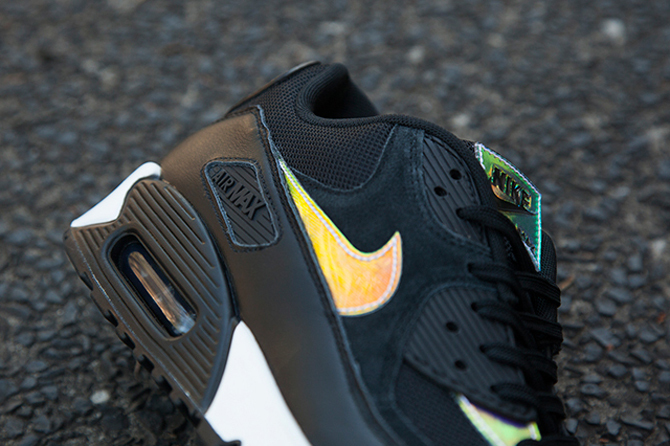 Nike Air Max 90s get a restrained iridescent treatment. 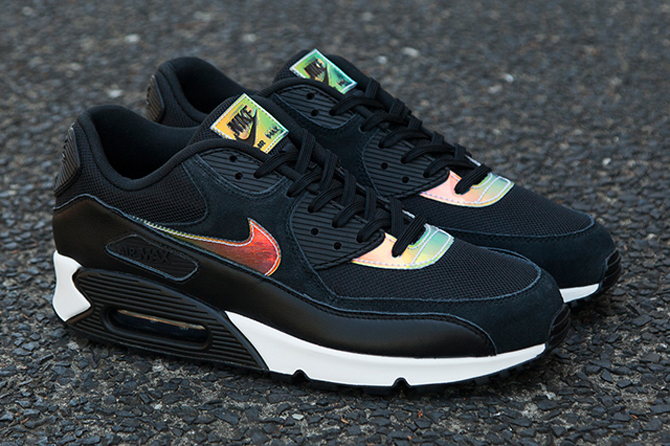 The Nike Air Max 90 is stepping into iridescent mode with this upcoming pair. The shiny look here is a bit more yellow than that found on earlier iridescent Nikes this year from the Superbowl "Silver Speed" pack, and the look is applied much more sparingly. 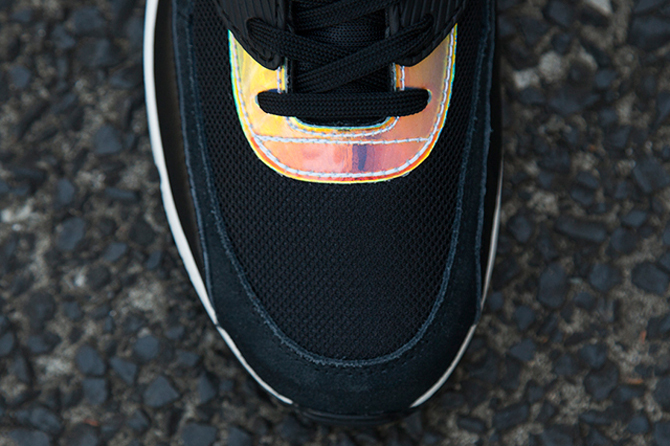 The result is an Air Max offering that's rather like this Air Odyssey from a couple of weeks back. The bad news is that that Odyssey never released in the States, so it's entirely possible that this pair will suffer the same fate. 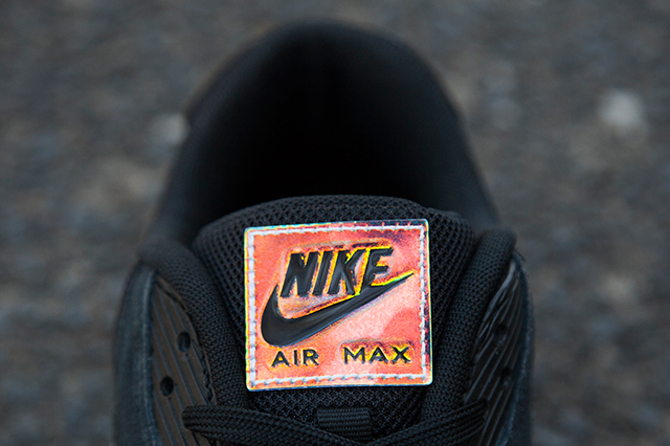 Tell us in the comments if this Nike Air Max 90 is a cop or not and hope with us that they show up in the U.S.